Don’t get caught out, people. Check out “Wifi Assist” if you are using an IPhone with the IOS9 update. 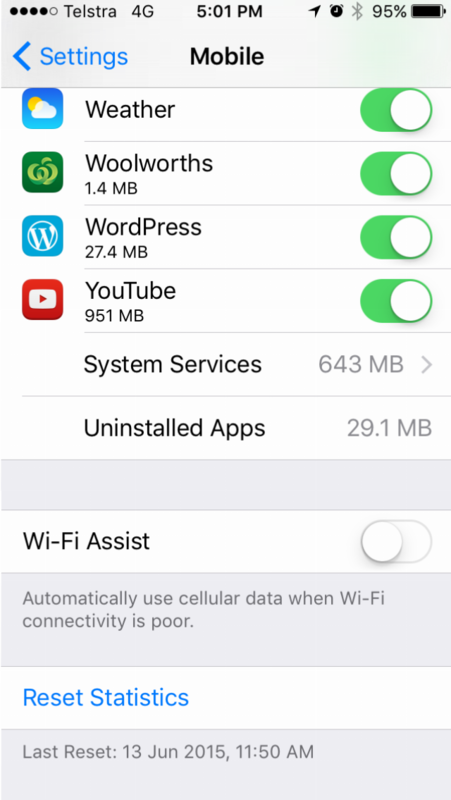 This “feature” will “augment” your weak wifi signal by using your 4G connection. This means you can inadvertently use your mobile data connection while you think you are using Wifi. Turn it off under Settings > Mobile then go right to the very bottom! Isn’t it funny how these kinds of features are often found in out of the way places.